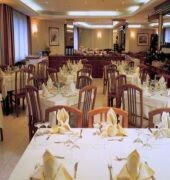 The Hotel Eurotel is situated in Les Escaldes, just 400 metres from Caldea Thermal Spa. 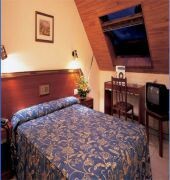 It offers functional rooms with flat-screen satellite TV and a safe. 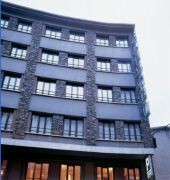 Eurotel is only 500 metres from the main shopping streets of Andorra la Vella. The hotel is a 15-minute drive or bus ride from Encamp, where you can take the lift to Grandvalira Ski Resort. Massana Ski Lift is a 10-minute drive away. The hotel restaurant serves varied buffet breakfast and dinner. There is also a cafe-bar including TV with Canal Free Wi-Fi is available in public areas, and ski storage and private parking are possible on site.